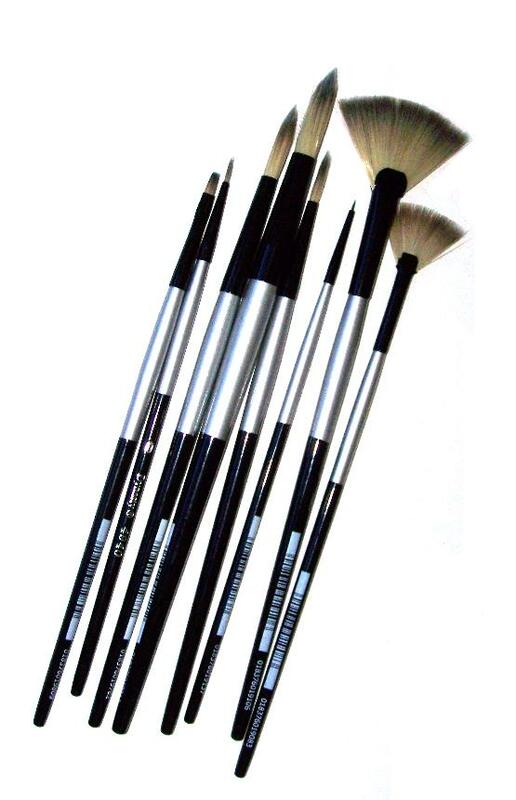 Ashrad Golden Taklon brushes are a good quality range made from high grade synthetic fibres. Their filaments, set in seamless metal ferrules and are constructed in a perfectly interlocking formation for tip sharpness and shape retention. The superior quality, soft filament offers a sharp, sensitive point perfect for delicate and detailed work. 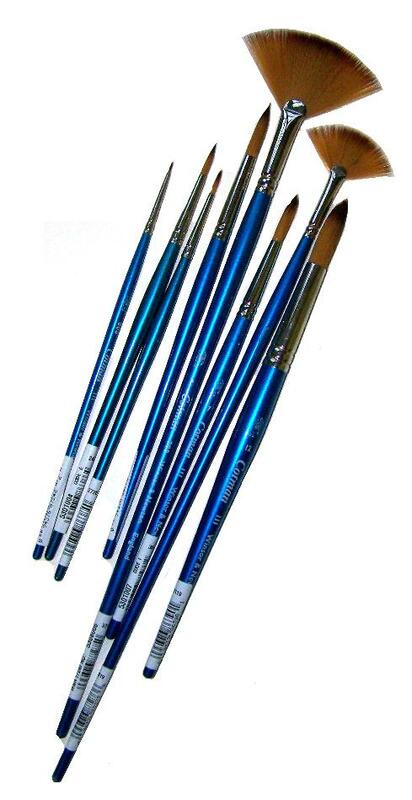 They have excellent fluid carrying capacity perfect for use with watercolour, fluid acrylic and fluid oil colour. Available in round/pointed sizes 000 to 10 and 12. High grade soft taklon filaments, expertly set in seamless metal ferrules and constructed in a perfectly interlocking formation for sharpness and shape. Excellent for delicate and detailed work whilst providing excellent fluid carrying capacity. Available in sizes 0, 2 and 4. 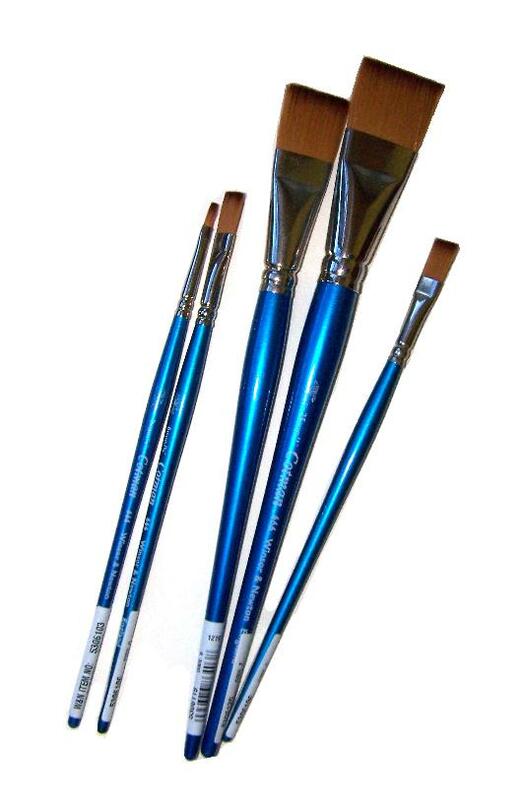 This quality range, made from high grade synthetic fibres, has very good fluid carrying capacity perfect for use with watercolour, fluid acrylic and fluid oil colour. High grade soft taklon filaments, expertly set in seamless metal ferrules and constructed in a perfectly interlocking formation for sharpness and shape. Offers sharp, sensitive points perfect for delicate and detailed work. 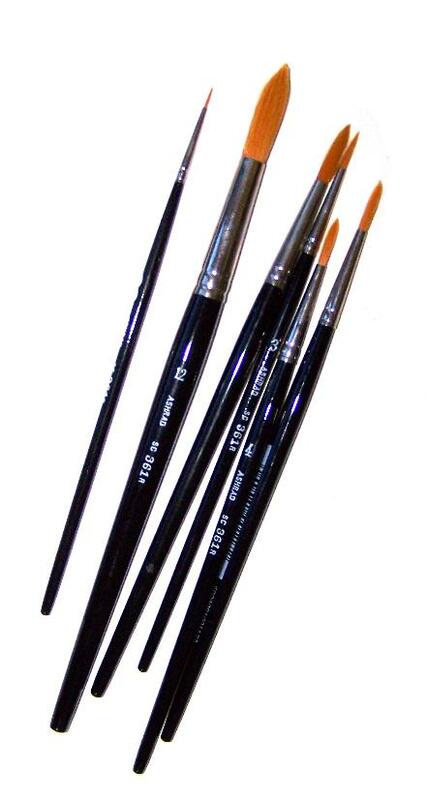 Excellent fluid carrying capacity, perfect for use with watercolour, fluid acrylic and fluid oil colour. Available in 0000 to 12 excluding 9 and 11. 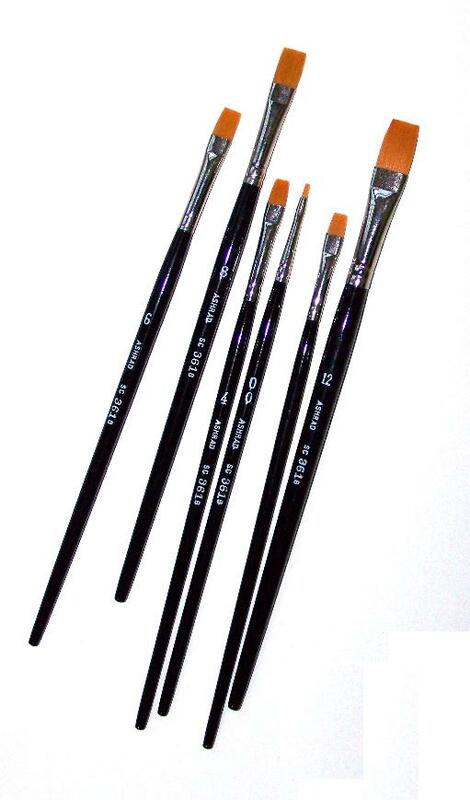 High grade soft taklon filaments constructed in a perfectly interlocking formation and set in a seamless ferrule. Provides excellent fluid carrying capacity. An affordable, quality taklon range. 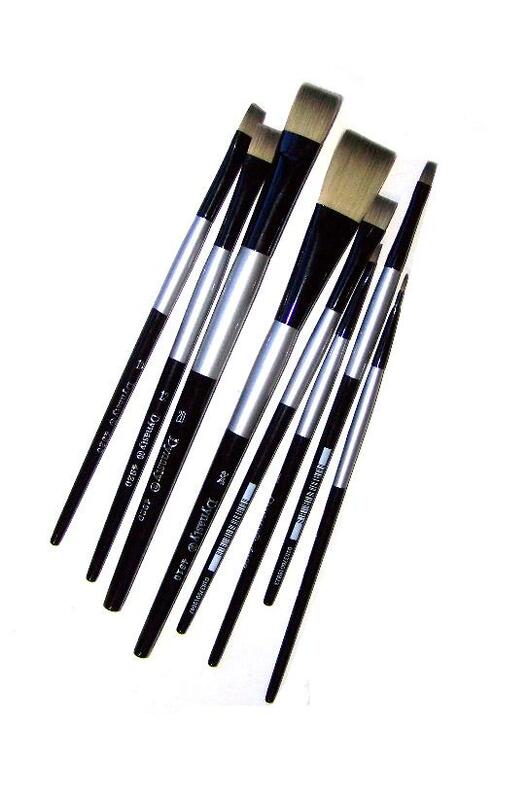 Soft filaments, set in a perfectly interlocking formations in a seamless metal ferrule. Excellent for delicate and detailed work whilst providing excellent fluid carrying capacity. Available in sizes 0000 - 12 (except 9 and 11). 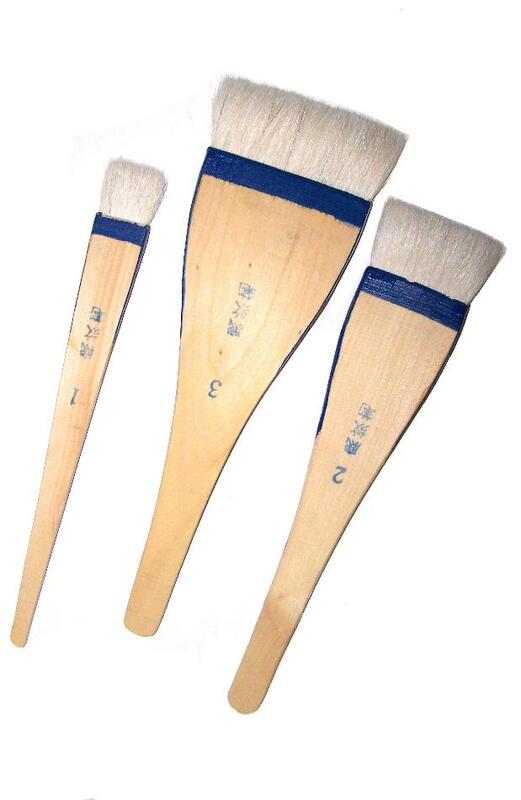 Winsor & Newton Cotman brushes were the first complete range of synthetic brushes to be developed by Winsor & Newton. Available in round/ponted sizes 0000 to 12 and long handled fan sizes 2, 4 and 6. An affordable, quality taklon range. Soft filaments, set in a perfectly interlocking formations in a seamless metal ferrule providing excellent fluid carrying capacity. Available in even sizes from 0 - 14 as well as sizes 18, 24 and 30. Blended fibres of differing thickness balancing the need for strength and spring whilst maximising colour carrying capacity. 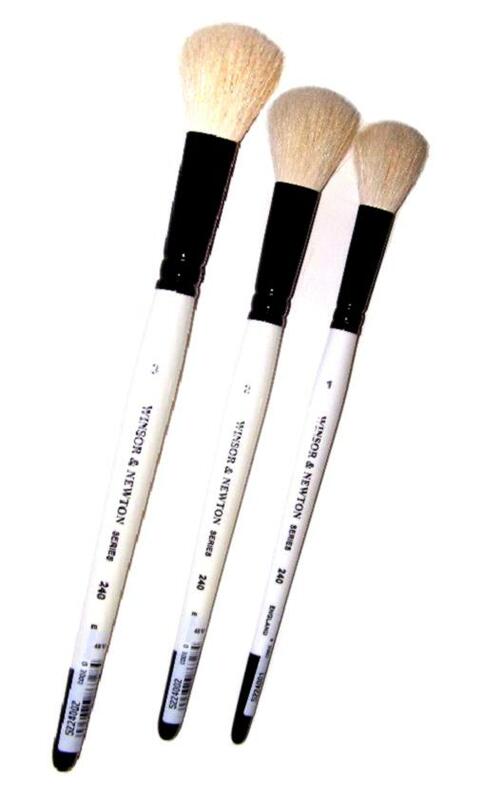 Available in sizes: 1/8", 1/4", 3/8", 1/2", 3/4" and 1"
This brush is made from white goat hair, the hair length being 1 1/2" out of the ferrule. It has a seamless black aluminium ferrule with a white wooden polished handle. Available in sizes 1, 2 and 3.